Located in northwest Ohio in the city of Bowling Green, Bowling Green State University is easily accessible from Toledo, Detroit, Cleveland, Columbus, Cincinnati, Pittsburgh, Indianapolis or Chicago. 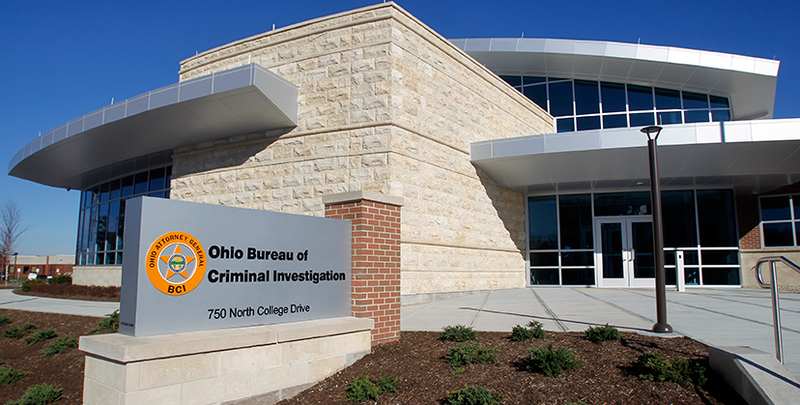 The combination of a world-class, on campus Ohio Bureau of Criminal Investigation (BCI) crime laboratory and criminal investigation facility with the resources of an internationally recognized academic institution have produced a unique interactive forensic science and criminal investigation learning environment. The Center for the Future of Forensic Science at BGSU maximizes this rare opportunity, offering unparalleled experiential learning to forensic science students and a gateway to advanced training and cutting edge forensic science research for practicing forensic scientists, forensic science technicians; crime scene investigators (CSI) and other law enforcement professionals. The BGSU Forensic Science undergraduate degree program is designed to provide students the precise education and training crime laboratories require. BGSU students earning a Bachelor of Science with a major in Forensic Science Degree will be prepared for immediate employment as forensic scientists. Forensic scientists typically work in laboratory environments, but may also find themselves in courtrooms, at crime scenes, in classrooms, or in morgues. Employers may be federal, state and local governments; private forensic laboratories; medical examiner offices; international organizations; hospitals; universities; police departments; or they may work independently as forensic science consultants. By offering three distinct forensic science specializations under the umbrella of the Bachelor of Science with a major in Forensic Science degree program (Forensic Biology, Forensic Chemistry and Forensic Examination), BGSU students have the ability to select the precise forensic curricula that will prepare them to achieve their career goals. · The Forensic Biology specialization prepares students for positions as DNA analysts, performing blood and other biological material testing on all types of physical evidence to help solve crime through the discriminating power genetic testing. · The Forensic Chemistry specialization prepares students for positions as drug chemists and forensic toxicologists. These scientists utilize the latest technologies to identify legally controlled substances and other dangerous drugs or unknown materials. · The Forensic Examination specialization prepares students for positions as trace evidence analysts, latent fingerprint examiners, firearm and toolmark examiners, and questioned document examiners. Students selecting this specialization will learn how to examine ‘impression’ type evidence such as finger and palm prints, footwear, tires, bullets, cartridge casings and documents; as well as understand the science and technologies associated with the forensic analysis of paint, glass, hair, fiber, gunshot residues, vehicle lamps and more. The Forensic Science program will undergo Program/Cluster Review during the Academic Year 2025-26. Requirements for licensure, certification and/or endorsement eligibility vary greatly from one profession to another and from state to state. The Forensic Science program does not lead to professional licensure. The Forensic Science program is not a recognized occupation that requires a Gainful Employment disclosure.